What a shameless pretender, hypocrite! 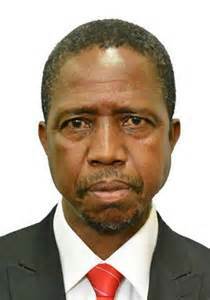 It’s unbelievable that Edgar Lungu could stand before the United Nations General Assembly and talk, or rather lie, about democracy, pledging his government’s solidarity with those nations undertaking the necessary actions in deepening their democracies. Edgar is also talking about people in Africa exercising their democratic right of choice of leaders. He did not give Zambians this chance. Right from the start of the election campaigns, Zambians weren’t given a chance to hear the views of other contestants because of his abuse of the public order Act to deny others their fundamental and democratic rights. His competitors could not freely hold meetings, rallies and were denied meaningful coverage by the state owned and government controlled news media outlets. Influential privately owned media was squeezed out all in a quest to give Edgar an easy way to maintaining his hold on power. The ruling Patriotic Front were allowed to disturb opposition meetings in Lusaka, the Copperbelt, Luapula, Northern, Muchinga, Eastern and Central provinces with impunity and police complicity. After voting, the people’s will was falsified through the manipulation of election results and the court processes. Edgar unleashed his agents on the Electoral Commission of Zambia to do whatever they wanted. We haven’t forgotten about how that Ugandan – Samuel Chavula – was aided entry into a server room of the totalling centre at Mulungushi International Conference Centre. Edgar’s philosophy, political outlook is not best expressed in words, hollow speeches; it is expressed in the political choices he makes. As William Shakespeare wrote, “Talking isn’t doing. It is a kind of good deed to say well; and yet words are not deeds.” Action speaks louder than words but, of course, not nearly as often. And when deeds speak, words are nothing – “deed, not words shall speak me”. Let deeds match words. What democracy can Edgar support when he has failed to uphold democratic principles in his own country? What rule of law can Edgar talk about when his government has completely thrown it away? His is a dictatorship, a corrupt and tyrannical government. What he’s saying in his speech is a complete opposite of what his government is doing. A tree is known by its fruit; a man by his deeds. Virtue appears from good deeds. To walk safely through the maze of human life, one needs the light of wisdom and the guidance of virtue. Confucius wrote, “A gentleman would be ashamed should his deeds not match his words.” Not Edgar! The good people we know judge leaders by their deeds and abhor hypocrisy. Inconsistency and point-scoring do not win respect. It’s not easy to be engaged in political debate when it is reduced to performers trying to outdo each other. Actions from leaders must mirror the values they claim to espouse. It is said that thinking good thoughts is not enough, doing good deeds is not enough, seeing others follow your good examples is enough. And accordingly, our question to Edgar is: is this the way you would like Zambia to continue to be governed after you have left office? It is said that when you find someone you wish to marry, you will know what kind of person she or he is not by the things she or he says, but by the things she or he does. One should see the world, and see himself as a scale with an equal balance of good and evil. When he does one good deed, the scale is tipped to the good – he and the world is saved. When he does one evil deed, the scale is tipped to the bad – he and the world is destroyed. Find people not to envy but to admire. Do not the profitable but the admirable deed. Live by ideals. Jesus is a personal symbol of the Holy Spirit. Having been totally healed by the Holy Spirit, Jesus became one with him. Every thought, action and deed of Jesus was guided by the Holy Spirit instead of ego. Now we see that going out into the testing ground of men it is the tongue and not the deed that wins the day. Don’t be vain. What you look like doesn’t matter. It’s the deed that matters. Truth leads to good deeds, and good deeds lead to Paradise. Falsehood leads to evil deeds, and evil deeds lead to the Fire. Benjamin Franklin said, “A man of words and not of deeds, is like a garden full of weeds.” A person’s words reflect the image of his character and the amount of truth and lies in it is always visible to the human heart than ordinary eyes. Edgar should set an example to the people he is ‘elected’ to serve, in speech and in conduct. It’s that if you do good, you do it to yourself, if you do bad, you do it to yourself. So be wise and do good all the time. Every man is defined by his deeds. Can a bad tree bear good fruits? Claims of solidarity with countries undertaking necessary actions in deepening democracy are nothing but hypocrisy on Edgar’s part. But hypocrisy is not a way of getting back to the moral high ground after messing himself up politically, morally and otherwise. Pretending you’re moral, saying your moral is not the same as acting morally. There are three things in the world that deserve no mercy: hypocrisy, fraud, and tyranny. Hypocrisy is a value that we think has been embraced by Edgar. With his dictatorship, tyranny, intolerance, brutality, cruelty, how can Edgar really try to lecture the world on democracy, good governance, rule of law? It’s a well-known fact that hypocrisy can afford to be magnificent in its promises; for never intending to go beyond promise, it costs nothing. The only vice that cannot be forgiven is hypocrisy. And the repentance of a hypocrite is itself hypocrisy. Hypocrisy is the mother of all evil. “Liberty is the right of every man to be honest, to think and to speak without hypocrisy,” said Jose Marti. Hypocrisy is a detriment to progress because there’s always a hidden agenda. Candor and accountability in a democracy is very important. Hypocrisy has no place. When hypocrisy is a character trait, it also affects one’s thinking, because it consists in the negation of all the aspects of reality that one finds disagreeable, irrational or repugnant. With people like Edgar in very high political leadership, the idea of democracy has been stripped of its moral imperatives and come to denote hollowness and hypocrisy. It seems there’s no habit or quality more easily acquired than hypocrisy.